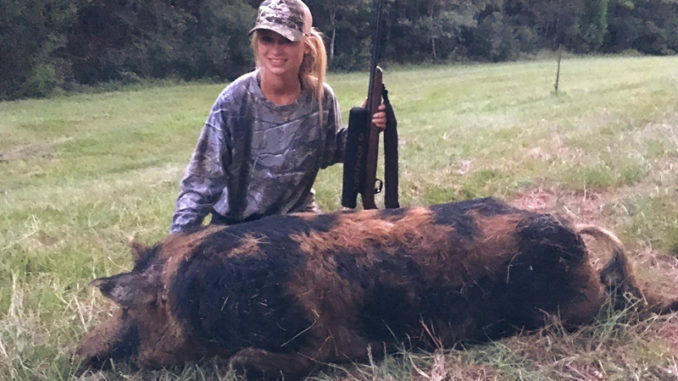 Brooke Aden killed this hog that bottomed out a 400-pound scale. 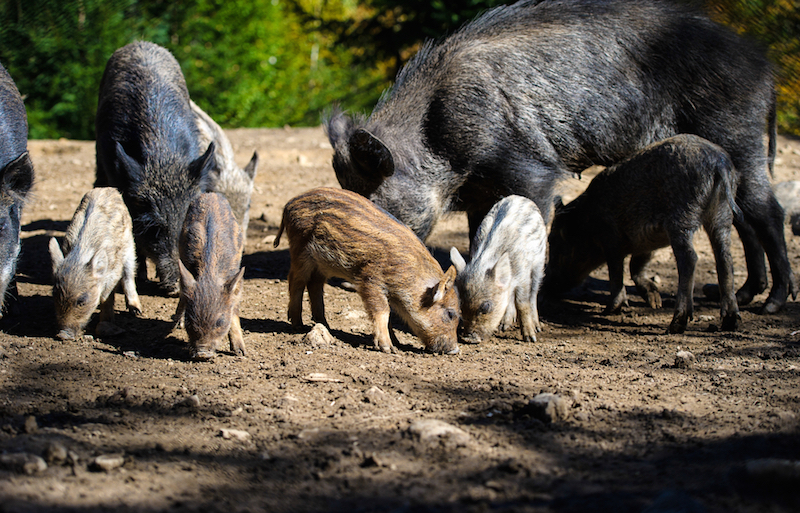 Hog hunting is a great way for Carolina hunters to extend their time in the outdoors. And with no closed season on porky pig throughout private lands (and many public lands) in the Carolinas, more and more hunters are hunting them. Luckily for hunters, hogs are pretty easy to bait. Pile on the corn and if you’ve got pigs in your area, they’ll come to them, especially this time of year when no much food is available to them. And they’ll come to plenty of other foods too. 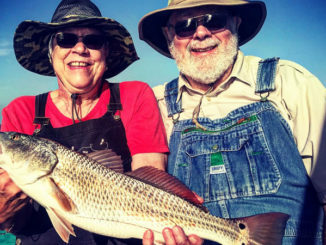 Sweet potatoes are good baits, and commercial baits are also good bets. The stinkier the bait is, the more often hogs will come around according to many hog hunters. But a lot of hunters make a critical mistake when putting out bait. “I take a lot of fairly new hunters with me and very few of them understand how strong a hog’s sense of smell is. 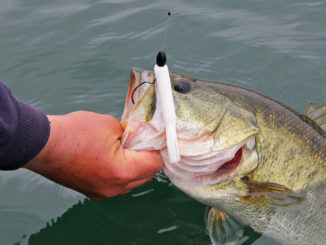 They touch bait with their bare hands, or with gloves they use all day at work. I’ve seen guys reaching out and touching every stick, weed, or branch while walking down a path to a bait site. 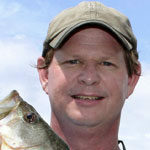 Those are all no-nos,” said Jeff Sanders of Huntersville, N.C.
Sanders takes extra precautions when baiting for hogs. And he never has trouble putting bacon on the table. “My most important tool for hog baiting is rubber gloves. And they need to be hog-baiting-only gloves. I keep mine in a Ziplock bag with scent blocker. 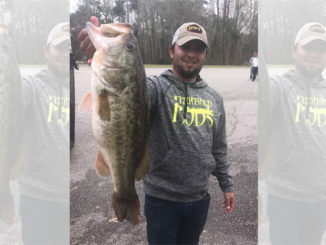 And I don’t touch anything with those gloves that I don’t want carrying the smell of into my bait site,” he said. Give the pigs something to eat and they will surely come around. Sanders also wears rubber boots to and from the bait site. “Rubber boots carry less scent than boots made of other material. And I clear a path of anything I can brush up against on the way to and from the bait pile. Anything you rub up against a bush, you’re leaving your scent. Hogs will avoid it,” he said. Sanders said hunters should also tuck their pants legs into their boots. “Your bluejeans or khakis, they carry scent for a lot longer than you think. And a lot of it comes from laundry detergents and dryer sheets. You don’t want your Downy-smelling jeans to rub up against anything that the hogs will be around. That will turn them away faster than you’d believe,” he said. Putting out bait is a great way to attract hogs, especially this time of year, but Sanders said you’ll do it all for nothing if you’re leaving your scent behind.